Library of vintage instruments for sampler KONTAKT (Pads, Electric piano / acoustics, Choirs, Thongs, Copper, Clavisins …). Add through the library manager. 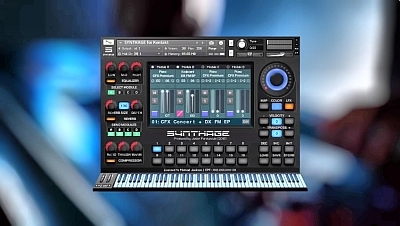 Includes Ambient Synth Pad, Bell Pad, Bosendorfer Imperial, Boys Choir Ah / Oh, Case 73 Soft, Case 75 Medium, Case 78 Hard, CFX Premium, CFX Premium Damper, Clavi Amp, CP80, Dark Atmo Pad, Deep Dreams, DX Crisp, DX FM EP, DX Legend, E. Piano, Etheral FM, FM Dyno, FM Heavenly Pad, FM Piano DA, FM Roads, Full Concert, Natural Rich, Richards, Road to Seattle, Seattle Sections, Smooth BPF, Strings and Brass, SuperDynoChorus, SuperDynoTines, The FM E.Piano, Touch Clavi, TX816 E.Piano, Upright Piano, Urban EP.